It’s always interesting to see the ways in which people manage to be inventive when recycling plastic. 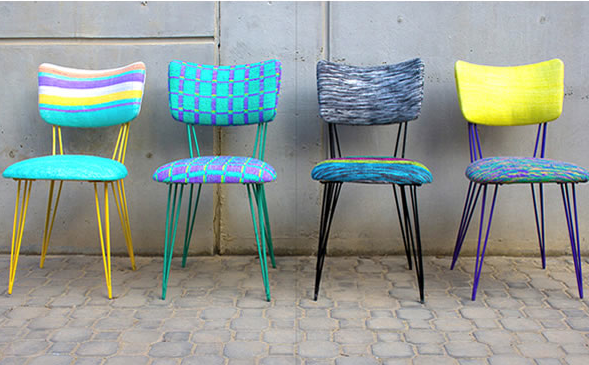 Reform Studio have created Plastex, a material made from reused plastic bags. The focus is on raising awareness ‘about how we define waste and the possibilities behind reusing what was once destined to become trash.’ The products (for the home) aim to prolong the lifespan of the plastic bag, reusing it in another way rather than sending them to landfill. With the average usage period of a plastic bag averaging around twelve minutes and the amount of time they take to decompose averaging at years, it’s important for us to address the issue of our throwaway lifestyle and find solutions. Plastex was designed by a team in Egypt, where plastic waste is a serious issue. 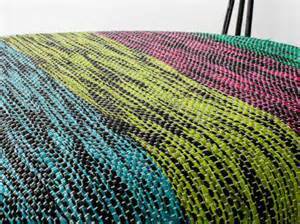 Plastex is made by using a traditional Egyptian hand loom to weave the strands of plastic bags. Reform studio is not only aiming to prolong the life of the plastic bag but they also want to help to revive the weaving industry in Egypt to create work opportunities and help local communities. An all round winner! 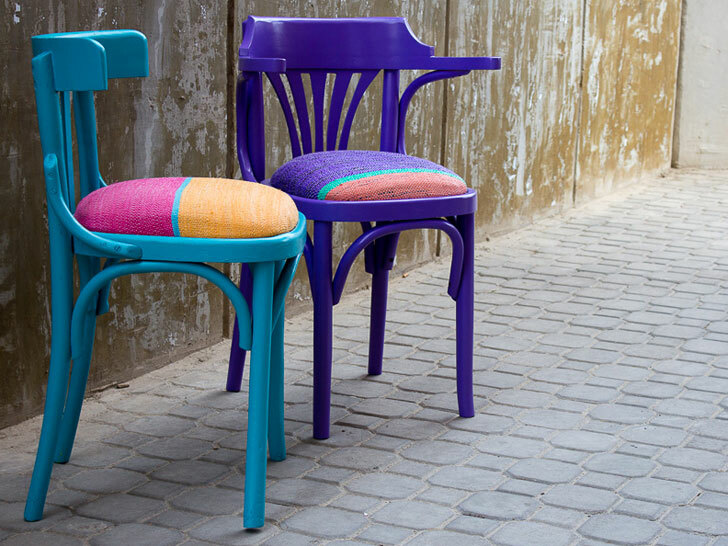 The collections that they have created are vibrant in colour, stylish and practical. ‘The Grammy’s collection brings an old authentic design back to life; a chair that dates back to the 1960s’. 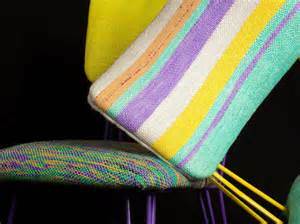 The chairs are handwoven and are one of a kind due to the fabric depending on the plastic bags used each time. The fabric is durable, washable and dirt-resistant and has seen the ladies at Reform Studio become a laureate at the Cartier Women’s Initiative Awards. Good work! You can take a look at Reform Studio here. We will be looking for more creative ways in which discarded plastic can be reused, so feel free to make suggestions! ← Supermarkets: Making a Green Life Simpler?